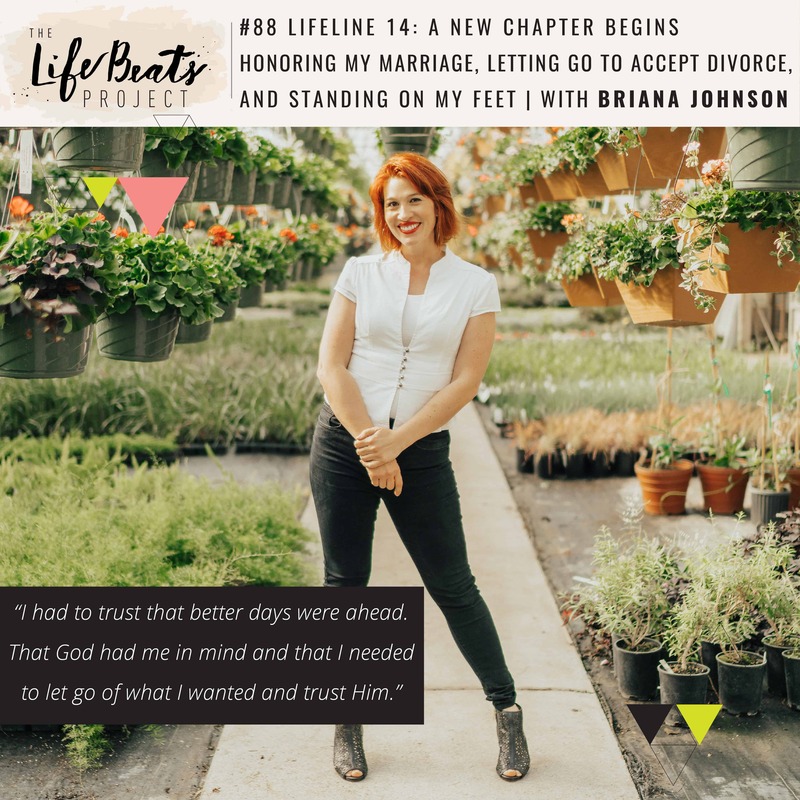 In Season 2’s kick-off episode I bravely share about the circumstances that lead to a devastating divorce from my 20 year marriage. In this LifeLine episode I pick up from Season 1’s final episode in which I shared the continued effects of Mike’s Multiple Sclerosis that caused him to no longer feel emotion and the adjustment that I knew we could make. Today I share how I didn’t know how I was going to share this with you, that we didn’t make it through that adjustment, but knew I needed to, to help others who have suffered deep loss and sorrow to know that they are not alone. I share not only the devastation but the things that I know: the beauty of my marriage, the evidences of God’s love all around, and the transformation this has already begun to take place that is creating a new me. I touch on the beautiful quiet mind and heart of trust that came from my trip to Guatemala and the miracle of being acquired by Stiry to provide for my family as a full-time podcaster pursuing my passion. Listen and be inspired to surrender, learn to trust, and let go to watch the evidences of your higher power be revealed in your life and to know that you can stand on your feet in hope of better days ahead. YES, we are excited for season 2! Loved hearing your story and so excited for YOUR future ! Thank you so much Aunt Kelly!! Love you so much and am so grateful for the support you have given me my entire life!! Briana! I just listened this morning and it was wonderful. I cried with you and pray for you as you set forth on your new path. I’ll be tuning in again! Katie so wonderful to hear from you!! Thank you for listening and for crying along with me. So grateful for your prayers and so glad you will be listening again!! Much love. Oh thank you so much Laura!! I’m so grateful that that phrase resonated with you. I remind myself of it daily.